For much of my 35+-year career in public relations, Charlotte was what could be characterized as a sleepy little town when it came to the communications agency business. For a market our size, there were surprisingly few public relations, advertising and marketing agencies, and a correspondingly small number of jobs to be had. I speak from personal experience. I can remember graduating from UNC Chapel Hill in 1983, journalism degree in hand, and making a pilgrimage to the office of Joe Epley, known as the godfather of PR in our state. I wanted a job in PR, and back then, Joe ran the first and only PR shop in Charlotte – the storied Epley Associates. A prerequisite for working for Joe was several years’ experience as a print or broadcast reporter, which of course I did not have. (Back then, there was no such thing as a PR degree.) Joe patted me on the head and kindly showed me the door. Fortunately, I did manage to land my first job as a marketing grunt for Interstate Securities, at the time the largest regional brokerage company in the country. I wrote advertising, newsletter and direct mail copy for stock brokers, until the market crashed in 1987. Sig Huitt at Carolina PR – only the second PR shop in Charlotte – hired me soon thereafter. And the rest is history. As Charlotte grew over the years, the agency landscape began to change. Sometime around the turn of the century, the sector quietly reached critical mass. And ever since, it took off – becoming a magnet for new and creative talent, a major economic presence, and another jewel in the Queen City’s crown. About a year ago, I made another pilgrimage – this time to the office of Chuck McShane, Vice President, Business Analytics and Data at the Charlotte Regional Business Alliance (formerly the Chamber). 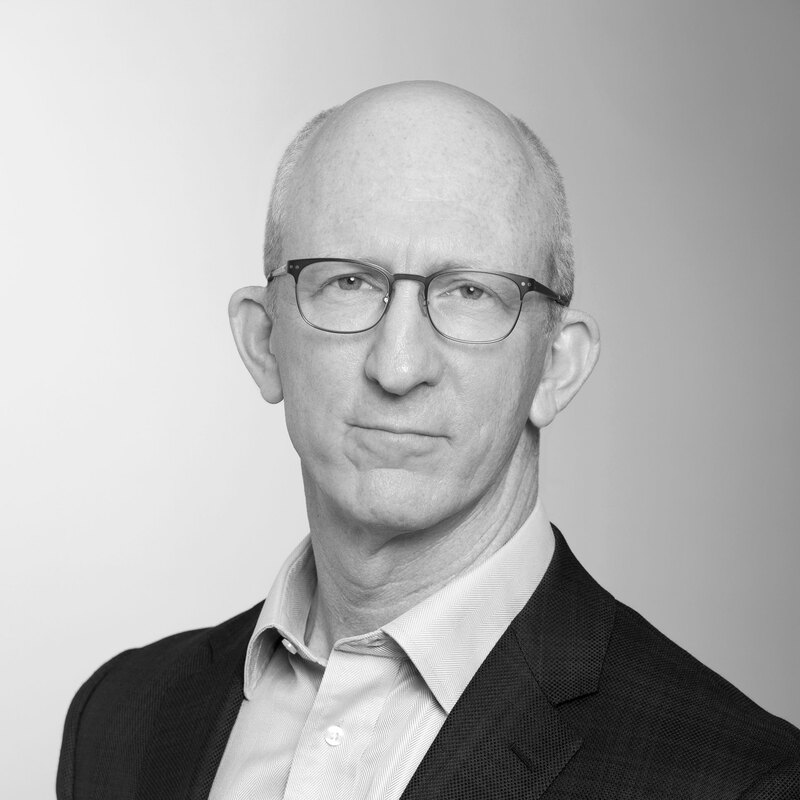 My intent was to find out how to take advantage of his department’s formidable research capabilities, to help me develop new business for Chernoff Newman in Charlotte. During our conversations, I learned there was plenty of research about important sectors of the regional economy such as banking, energy and transportation; however, no one had studied the marketing and PR field. That inspired an idea that led to the release today of a comprehensive economic impact study about the sector. 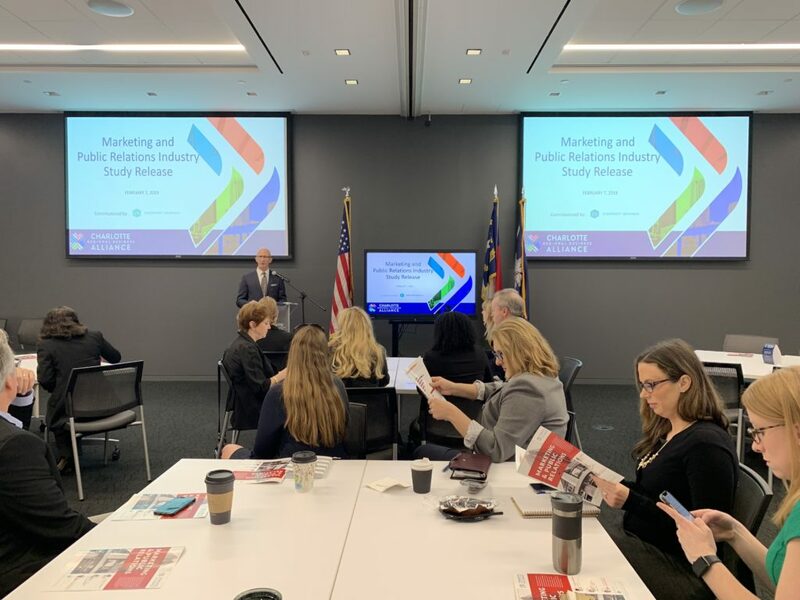 Foremost among the findings: Charlotte’s marketing and public relations industry has grown faster than any other city in the nation during the 21st century. The region added 7,495 jobs since 2001, representing a 180-percent growth rate. Although larger markets such as New York, Atlanta and Chicago added more jobs, their growth rates during the period were much lower. Growth is expected to continue, with 3,800 jobs projected to be added in the next decade. 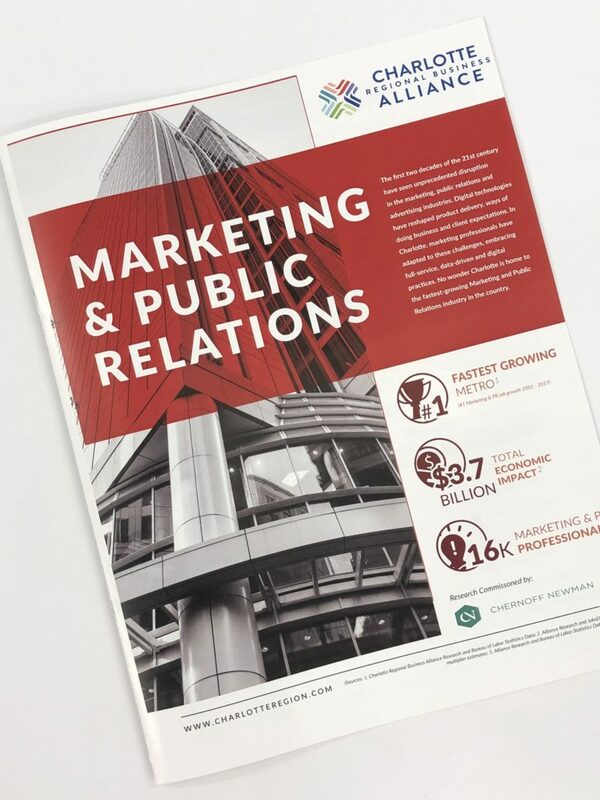 By commissioning the study, Chernoff Newman wanted to strengthen the marketing and PR sector by giving regional agencies, corporate communications departments and other employers an important resource for recruiting, growth and planning. We also hope the information will become part of the broader narrative about Charlotte as one of the nation’s most attractive places to live and work. 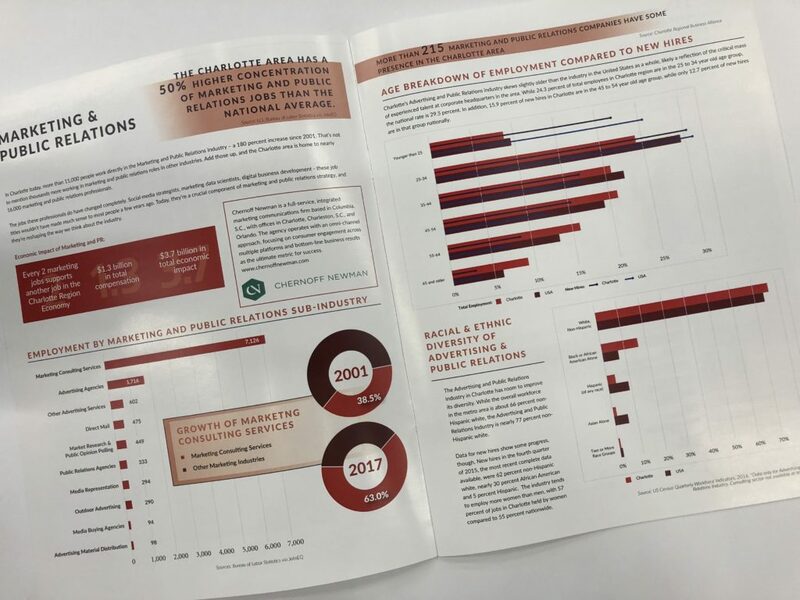 Click here to read the exclusive from Charlotte Business Journal or here to view/download the full study.